“Solo: A Star Wars Story” is coming home, as Lucasfilm has announced today when we can take home the latest “Star Wars” movie, as well as all the special features we can expect to see with its home release! 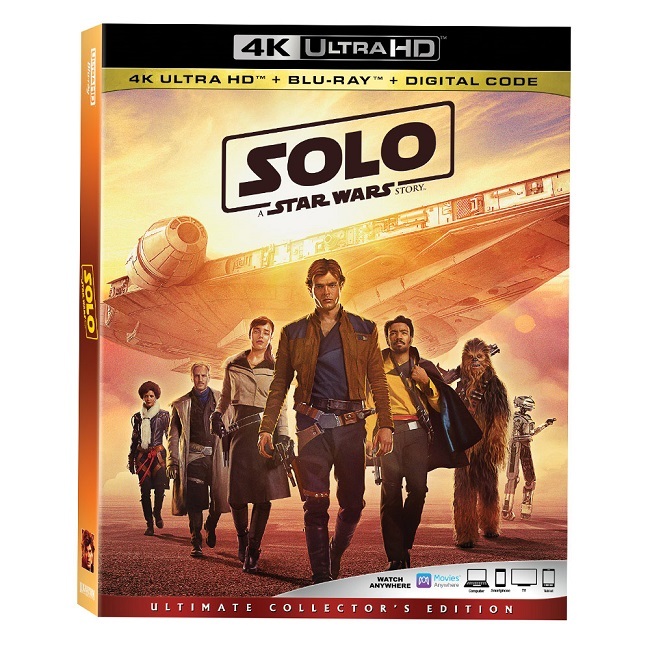 As per usual with home releases these days, “Solo: A Star Wars Story” will come out first Digitally on September 14th, and then on Blu-ray 4K Ultra HD, Blu-ray, and DVD two weeks later on September 25th. “Solo: A Star Wars Story” looks to come with the special features we come to expect with most “Star Wars” home releases with a good amount of documentaries and featurettes, as well as some deleted scenes. Though like with “Rogue One,” it will not have a commentary track, which is a bit disappointing. It’s always exciting to bring a new “Star Wars” movie home, and that will be no different for “Solo: A Star Wars Story,” which thankfully is only just two months away!